The importance of the dairy sector looking ahead to the future to understand how global food production and consumption might change over time, staying close to consumer trends and perceptions and the importance of protecting New Zealand’s reputation by addressing any risks or poor performance across the value chain. The need for the dairy sector to be adaptable and able to quickly develop and/or adopt new technologies to stay competitive globally, provide the transparency that consumers and the public are seeking and to find workable cost effective solutions that support sustainable and resilient dairy farming. The challenge for dairy to attract the people that it will need to respond to likely future changes in dairy farming and food production, in the context of an increasingly competitive employment market. The importance of the dairy sector acknowledging its impacts on the environment and demonstrating its commitment and actions to address these. Stakeholders raised the importance of preserving New Zealand’s reputation on environment and the value of ‘brand New Zealand’ for all our products and services on the world market. The importance of New Zealand having strong biosecurity risk management and responsiveness capability as critical to the profitability and resilience of dairy farming businesses and the country’s economic and social wellbeing. 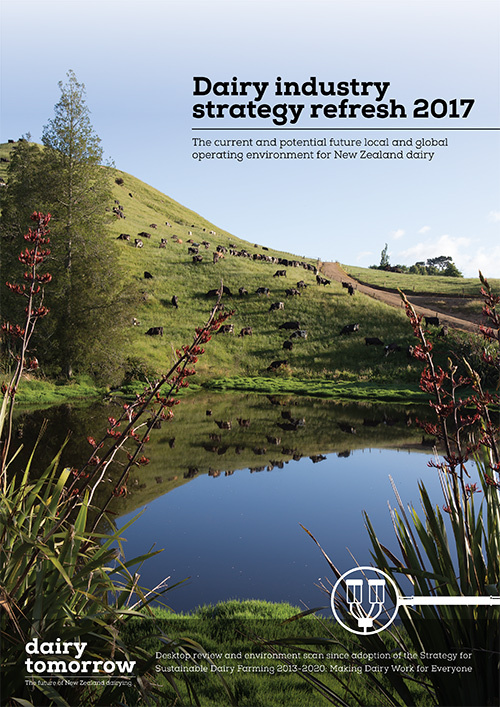 The need for dairy to build stronger connections and cooperation with other sectors of the economy to make long term and impactful changes to land use in New Zealand and to be able to leverage New Zealand’s unique value as a food producer on global markets. Closer engagement with Māori farming enterprises and community development activities was also highlighted. The importance of the sector doing more to engage and listen to New Zealanders and be transparent about its actions and performance to build trust. 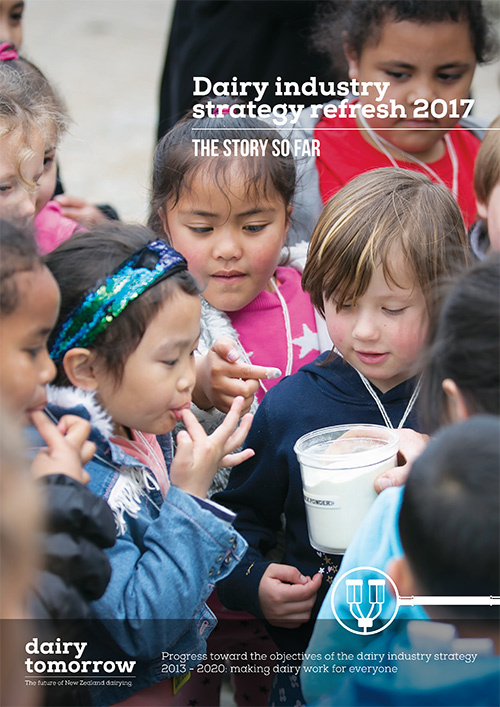 Stakeholders perceived that there is a growing divide between urban and rural communities that is also impacting on perceptions of dairy farming by the New Zealand public. The role of dairy farming in New Zealand and its economic and social contribution to both rural and urban communities and needing to shift to a greater focus on growing value. The strength of New Zealand’s systems and history of action on animal welfare issues with an awareness of the need to be ahead of potential shifts in consumer and public expectations or perceptions over time. While the number of farmers we heard directly from is a small sample of the thousands of men and women who make up our dairy farming community, there was considerable consistency of the topics raised. Farmers were incredibly ambitious for the sector and the role it can play in a prosperous, sustainable New Zealand. There was recognition that there were plenty of opportunities to further improve, but also that there had been considerable progress. Taking a greater leading role on environmental issues, including climate change. Farmers want to do their bit and to see a similar level of commitment from others. Investing in R&D to identify solutions that support sustainable dairy farming, with programmes and tools that fit local circumstances and all farm system types. 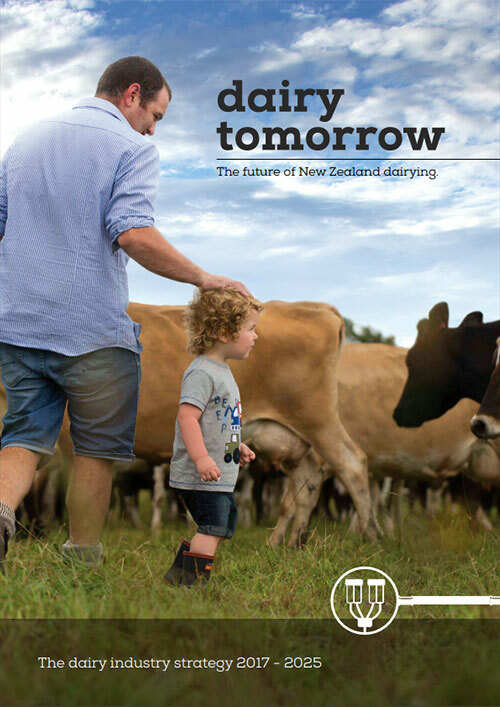 Promoting dairy’s nutritional value and the New Zealand dairy story are key opportunities. There was pride in seeing their product on the shelves in New Zealand or abroad, and recognition that the quality of our products relies on the quality of our farming. The highest standards of animal welfare are critical to the ongoing success of the sector and requires commitment from all those who handle animals, with more action needed to eliminate poor performance. The need to secure the services and infrastructure required for strong, resilient, and sustainable local Building stronger connections in the community, between farmers and neighbours, and better integrating newcomers to farming are all opportunities to build stronger communities. Having great workplaces and talented people is a key priority, including better promotion of the benefits of a career in dairy to young people, improving the health and wellbeing of those involved on farm, and building people capability in the multitude of disciplines that make up dairy farming. Being profitable and having adequate return on investment. Key challenges are succession planning, the sustainability of rising debt levels when prices are low, managing the burden of new regulation, addressing biosecurity risks to farming and the costs of new technologies. Farmers emphasised the need for the sector to show leadership and to work in partnership with others to address the big challenges. Communication and engagement with the public and consumers is a priority.